Conditions of SaleAll sales are final and all property is sold ?As is, Where is.? It is the bidder?s responsibility to determine condition and usefulness of the items purchased. We attempt to describe all these items to try to give you a visual of the item you are bidding on. We describe them to the best of our ability and many times rely on information from the consignor that is given to us. If you have questions or are NOT SURE about the condition, feel free to come during preview times and/or contact us via phone at 214-553-5510 or, email at topdrawerdfw@gmail.com. Buyers PremiumWe charge a 18% buyers premium. This amount will be added to the price of all items sold.BiddingA bid by any person shall be conclusive proof that the person has made himself acquainted with these conditions of sale and has agree to be bound by them. In the event of non-payment during posted pickup days, we reserve the right to charge the outstanding invoice balance to the credit card you provided upon registration. Failure to honor your bid may result in loss of bidding privileges.PaymentTop Drawer Auctions gladly accepts CASH, VISA, and Mastercard. We do not accept checks or cashier checks.AuthenticityThough all descriptions are believed to be correct, neither auction house nor seller makes any warranties of any kind with respect to the property and in no event shall be held responsible for having made or implied any warranty of description, genuineness, authorship, attribution, provenance, period, culture, source origin, fitness for a particular purpose, condition etc. AuctionTop Drawer Auctions, employees and consignors reserve the right to bid on any items in auction. Persons attending preview or auction during removal of goods assume all risks of damage of or loss to person and property and specifically release the auctioneer from liability therefore. Neither Top Drawer Auctions, or principal, shall be liable by reason of any defect in or condition of the premises on which the sale is held including but not limited to personal injury, fire or theft. If foregoing conditions or any other applicable conditions are not complied with, in addition to other remedies available to Top Drawer Auctions and Seller by law, including without limitation, the right to hold the purchaser liable for the bid price, auctioneer at his option may 1) resell the property publicly or privately, with the purchaser being liable for the payment of any deficiency plus all costs incurred or 2) cancel the sale, retaining all liquidated damages on all payment made by purchaser. Top Drawer Auctions commission and all other incidental damages will be charged. Top Drawer Auctions is acting as an agent and agent only and is not responsible for the acts of his or her principals. Pickup TimesPick up times are firm unless extenuating circumstances warrant i.e., acts of nature, etc. All items must be picked up during the published times. If you cannot make pickup during the established times, DO NOT BID. If you do choose to bid and fail to pick up your items during the published times, we will charge the credit card on your file and items will be forfeited. 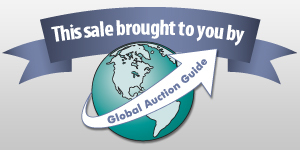 Failure to abide by the pickup times may result in loss of bidding privileges. Forfeited items may be donated to charity, thrown away, resold or any other method of disposal deemed fit by Top Drawer Auctions. In the event that items are resold, Top Drawer Auctions retains any monies or profits and is, in no way, expected to payout or refund any monies or credits to the original purchaser.Non-PayTop Drawer Auctions reports all Non-Pay bidders to all credit bureaus as well as the Dallas District Attorney. IndemnificationBuyer shall indemnify Top Drawer Auctions against any claims, damages, or liability (including reasonable attorney?s fees) as a result of an injury or other harm suffered by any person and stemming from the sale, whether arising before, during, or after the sale. Buyer agrees to indemnify Top Drawer Auctions for any damages or losses. Buyer will not hold Top Drawer Auctions, it?s owners, affiliates or its employees, liable for accidents, injury, theft, or incidents related to this purchase.AuctionFlexAuction Flex sets up each user on this website and collects all user information. Top Drawer Auctions does not have access to user names and passwords. AuctionFlex does provide Top Drawer Auctions with use name, contact information and credit card information provided during the registration processes. User information will not be sold to any third party advertisers by Top Drawer Auctions. * All items sold "AS IS, WHERE IS" with all faults. * All descriptions believed accurate but not waranteed. * Bidder inspection is encouraged. * By placing a bid, bidder signifies that they have examined the items to their satisfaction, or that they have chosen not to personally examine them. *Top Drawer Auction reserves the right to reject any bid at our sole discretion. * Sales tax of 8.25% will be added to each invoice. * Buyer's premium rate will be added to each item sold. * We accept Cash, Visa and Mastercard ONLY. * This is an internet-only auction. Top Drawer Auctions reserves the right to cancel and/or reopen the auction in the case of system failures. Announcement:Information contained herein is presented on behalf of the seller. Top Drawer Auctions, agent for the seller, cannot guarantee the information to be correct or assume the liabilities for errors and omissions. All lines drawn on maps are approximate. Buyers should verify the information to their own satisfaction. Any announcements made from the auction block on day of auction will take precedence over any matter of print and will be final. PORCALAIN DOLL IN PINK DRESS - 16"
SEYMORE MANN DOLL - 16"
PAIR OF FRAMED VINTAGE PRINTS SIGNED "GERMAINE"
COPPER CHAIN BRACELET - 7 1/2"
MID CENTURY MODERN COFFEE TABLE - BY MOTIF INC.
ERNST NAY ABSTRACT FRAMED PRINT "SONNE"